Ripple (XRP) has focused on expansion in the payments space, and the governing body, Ripple Labs have been striking several partnership deals for the same. The network is working hard to realize its aim of becoming the leader in the global digital token remittance platform. One such partnerships of Ripple aimed at global payments is a Malaysia based money transfer platform called MoneyMatch. The platform has reportedly secured a digital remittance license from the country’s regulators, which will now help Ripple to expand its reach in the Malaysian markets. The segment leader, SWIFT has a much wider reach. It is based on a four decades old messaging platform and has tie-ups with over a whopping 11,000 banks worldwide. To tackle this, Ripple needs to widen its reach, especially in emerging markets like Malaysia, Singapore, and India, as these regions have a better scope for development than the developed countries like the US or Canada. Ripple currently has two payment platform, xCurrent and xRapid, which are quite solid in their own right but are nowhere near SWIFT. In fact, Ripple’s offerings are cheaper, faster, and more secure than SWIFT, but the latter’s decades long dominance makes it more desirable among the masses. Crypto adoption across the globe is on the rise, especially in Asia, Europe, and the Middle East. It is estimated that cryptocurrencies will cover almost half the global economic transactions as early as 2025-2027. In spite of the fact that the crypto space collapsed terribly last year, the market as a whole continued to expand at 122%. The announcement saw Ripple’s price cross 34 cents apiece on Wednesday. Ripple has engaged in several partnerships to boost its global payments portfolio. The Singaporean payments platform also plans to increase its employee count in its headquarters. 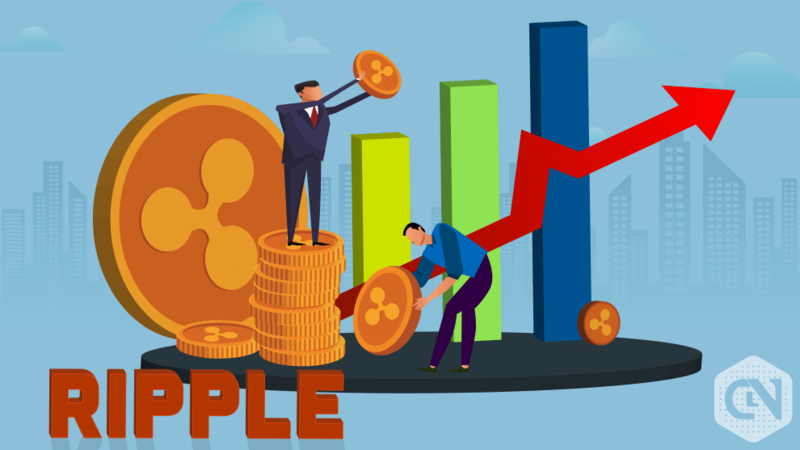 Ripple recently partnered with Indian IT behemoth Tata Consultancy Services (TCS), which is likely to expand the platforms reach tremendously. TCS manages a few payment platforms like BaNCS, which has a user base of over one billion. Earlier this year, Ripple received praise from World Bank, which stated that the crypto platform is doing a great job in facilitating global payments at a more affordable rate. One of the major USPs of Ripple is that it has been stable over time, which has made it a preferred choice for government and other banking and financial institutions. Cross-border payments are growing in numbers, especially after the advent of the concept of “borderless economies”. Baring a testimony to this fact, social networking giant Facebook is about to launch a stablecoin aimed at enhancing cross-border payments, with better speeds and security. VISA, the global payments leader, announced last month that it will be integrating blockchain with its global operations in order to facilitate payments through digital tokens. All these factors show that because of its stability and several tie-ups with payment platforms in several regions, Ripple is well equipped for the future.